Osteomyelitis, open bone fracture and inflammation, cancerous substantia spongiosa, carbuncle, osteoma, and conversion of cancer patients. 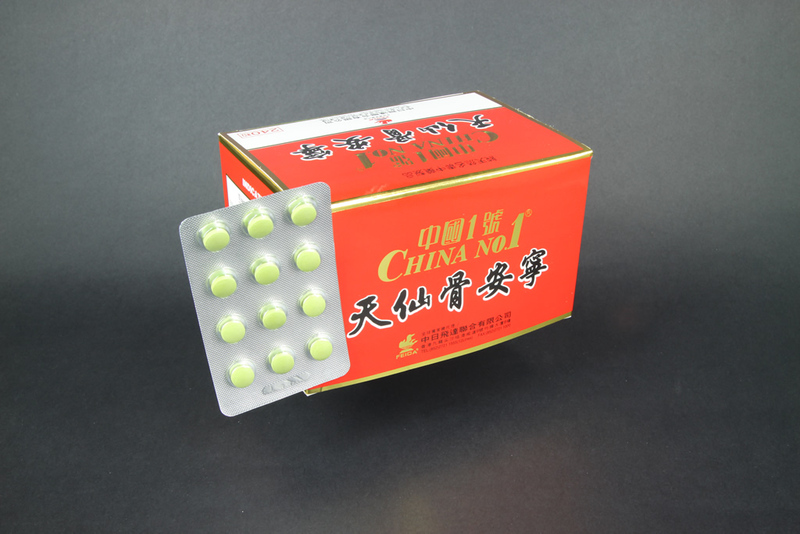 It is also suitable for patients who suffer from lupus erthematosus and are under hormone treatment. The formula of this product is primarily made of herbal medicine, which is effective for vitalizing the liver, kidneys, energy, and blood. It is also prepared from herbal medicine that is effective for clearing heat, detoxifying, activating blood, dispersing phlegm, promoting the subsidence of tumor, and reducing blood clotting. Based on Chinese traditional medical theory, kidneys direct bones and promote the growth of bone marrow. Bones provide nutrition to bone marrow and bond marrow develops due to the vitality of kidneys. Therefore, the development and functions of bone are closely related to the balance of vitality of kidneys. In addition, livers and kidneys mutually nourish each other. The vitality of livers, energy and blood can be mutually converted. Bone development and growth rely on the normal functioning of livers and blood. The astragalus mongholicus used in the formula is effective for stimulating chi, strengthening spleen, promoting yang, healing ulcers and growing muscles. Astragalus mongholicus is polysaccharide, which can promote the healing of skin ulcers and the immune system of patients Rehmannia can encourage the growth of sperms, fortify blood, nourish yin, and strengthen livers. Pharmacological studies how an anti-penetrating and anti-inflammation action on granuloma. The infusion of rehumannia wine has a significant inhibiting action on experimental rheumatism. The infusion of rehumannia wine also promotes the conversion of lymphocytes, increases white blood cell, blood platelets, and improves immunity. Cuscuta Chinesis can promote the conversion, anti-inflammation, and anti-germicidal action of lymphocytes. It is clinically practiced to heal cancer of bones, nasopharyngeal carcinoma, lung cancer, and liver cancer. Dandelion is effective for clearing heat and detoxifying. It contains sapins, which can inhibit bacteria, fight against inflammation, clear heat, promote the subsidence of swelling, and inhibit a variety of cancers. Clinically, Dandelion is commonly used to heal steomyelitis, fracture of bones, bone inflammation, and osteoma. Oral administration, 4 pills each time, 3 times daily, to be taken with lukewarm boiled water 30 minutes after meals.